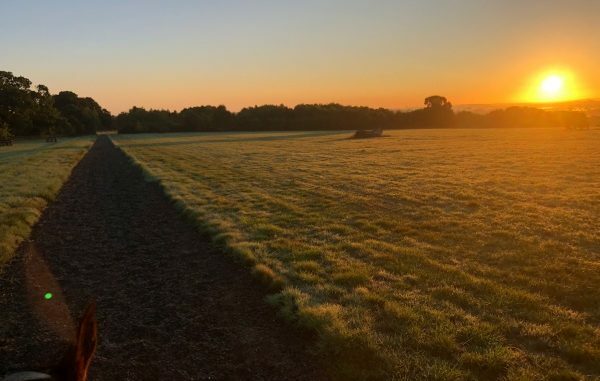 It was an early start with an early morning gallop for Bayano before heading to to Gatcombe with DIMAOND HOLLY in the Novice, and MONARTS MASTERPIECE and Ayesha Vardag’s VARDAGS SARATOGA in the OI and Intermediate. First up was M’MASTERPIECE who scored 32 on in the dressage, he felt a little bit behind me and spooky so overall I was pleased with the mark. He then went on to jump a lovely steady double clear but still managed to pick up a handy 10th place. He will now head to Waragem CICO*** for his final event of the year. VARDAGS SARATOGA also scored a 32 on the flat. She had some massively improved marks in the trot which an area we have been working on but still showed a little bit of tension on the walk. She has such a wonderful trainable brain so with more consistent work her marks will keep improving, I just adore working with this horse. She also then went onto jump a fantastic double clear. 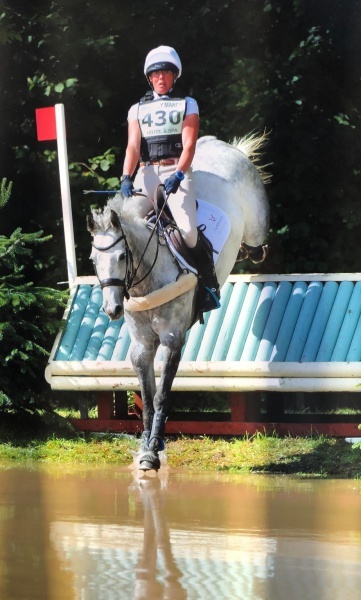 She had two more very exciting competitions this Autumn so we didn’t really press too much for the time so she picked up a few penalties and finished in 7th place. Another great result for this super consistent little horse. DIAMOND HOLLY performed her best test to date (despite a jockey error!) to score a very competitive 24. She has improved SO much on the flat thanks so my amazing dressage trainer Andrew Fletcher who has believed in her so much from day one. She also jumped a double clear to make it a hatrick and finished in 4th place. I had planned to have a steady run but such is her length of stride and ease across the ground she finished well inside.